365 days a year . and drive demand for your product, leading to more sales. Our Live Auction Technology maximises price and drives demand wherever your buyers are. Our platform allows buyers and sellers to conduct real-time transactions around the globe. Build the revenue model that suits your business and industry. The Gem Rock Auctions marketplace has more than doubled in size and volume over the last twelve months, both in numbers of buyers and sellers on the marketplace but also in auction revenue. Successful marketplace operators often move from a traditional marketplace to a digital one realising huge productivity gains. How will sellers pay for your service? Marketplace operators can configure the revenue options to suit the needs and expectations of sellers and buyers in the market. Bring in products and sellers to get your marketplace started. Add options such as Live Auction to generate excitement and drive interest. We offer ongoing support for marketing, PPC, SEO and social media to help you succeed. "We were looking for a technology partner who could combine an agile approach to delivery, a modern technology stack and a deep understanding of trading resolution mechanisms. Live Platforms delivered on all three fronts." 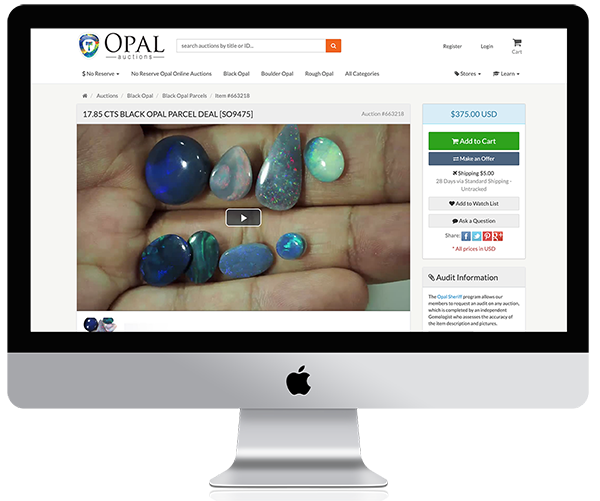 Twelve years ago if you told the patrons in the Lightning Ridge pub that you were going to sell 300,000 of their precious gemstones on the internet to buyers on far ends of the plane you would have been laughed out of town. But that is just what Wayne Sedawie did. Ready to transform your marketplace? Talk to us today.